Frameworks are collections of classes, functions, and constants designed to make completing a task easier. Frameworks dictate a specific look to an application and limit the design choices a developer can make in favor of making the code easier to read and write. To take care of the boring stuff. Frameworks are meant to make the life of a developer easier by supplying programmers with tools and design patterns to accomplish a task in an expressive and relatively simple way. Frameworks simplify a program by implementing tedious parts of a to let the programmer focus on the “Big Picture” and “Application Specific Needs”. Frameworks tend to exist for commonly developed types of applications to reduce the amount of time spent on repeated development steps like receiving HTTP requests or drawing sprites to a screen. Use a framework if you are making a cookie cutter application. Applications which lend themselves to frameworks are those which have been developed many times over. Web applications are a good example: There are hundreds of thousands of web applications, if each one had to reinvent the wheel in how they dealt with web requests and rendered HTML pages, the industry as a whole would be wasting a lot of time. If a framework exists for what you’re doing, consider using it. While there are many frameworks to choose from, some are better than others. Just because a framework does what you want doesn’t mean it’s the best tool for the job. Most popular languages have at least two or three frameworks for common applications, so research which one works best for your use case. We’re going to focus on web frameworks because they are easy to demonstrate and used everywhere. A dynamic site changes as the user or users interact with it. Social networks and search engines are good examples of dynamic sites. Web Frameworks are primarily used in dynamic sites and rarely in static sites. Security will be discussed further in Lesson 13, but static websites should be used in place of dynamic ones whenever possible. Dynamic websites are vulnerable to a much wider variety of attacks than static websites are. Each language has a slew of web frameworks to choose from. We will cover common frameworks for popular programming languages including Python, Ruby, and NodeJS. Offers many feature out of the box: Admin page, easy database management, simple templating, convenient URL routing. Well documented too. Sparsely featured, offers very little out of the box and lets you build up the features you need. Well supported with community libraries and add-ons. Arguably the most popular web-framework out there. Similar to Django in it’s features out of the box. Analogous to Flask on the Python side, very simple and easy to start with, encourages building up the features you need. A bare-bones NodeJS application, similar again to Flask. The data represented in some way, usually a database. What the user sees i.e. the webpage you look at. The code that manipulates the data in the database. Understanding the MVC architecture isn’t that important at the moment, but it is something to be aware of. Many popular web frameworks are built around the MVC pattern, so knowing how to use it to its advantages can be useful. A core component in every web framework is URL routing. This is where you tell a framework what to do when a user performs an action on a specific URL. In the below pseudocode, using DELETE on the '/accounts/<account_name>' endpoint causes the application to call the delete_account method. For the purposes of this lesson, you don’t need to worry too much about things like what the ‘@’ syntax at the beginning of the function does or what DELETE is. If you want to learn more about the Flask framework or HTTP, check out our Further Reading section. 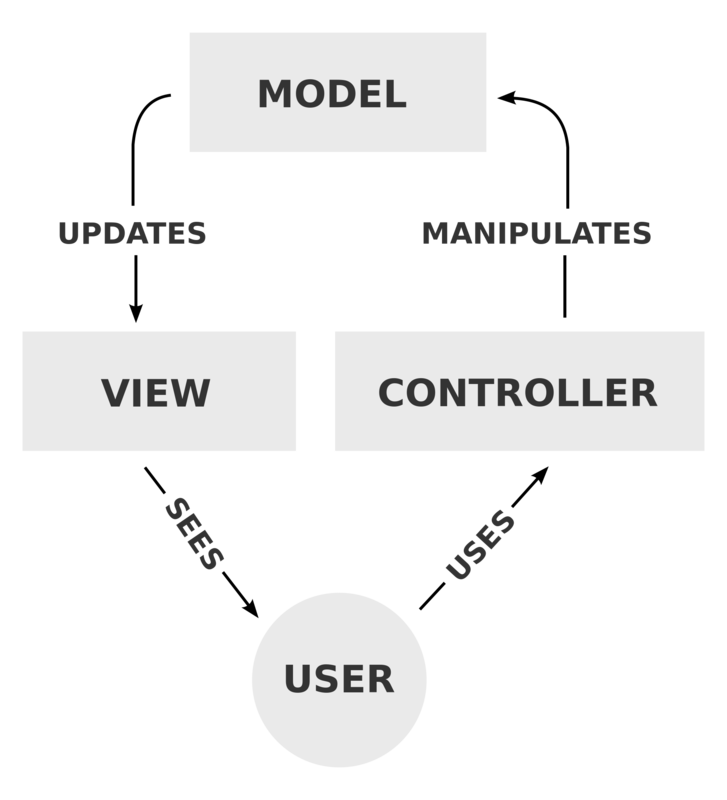 Templating engines are the “Views” part of the MVC architecture. They take a string, or file, with places for variables and stick the specific values in. Your lucky number today is 42! If you viewed the resulting HTML file in a web browser, the body of the page would contain a random number between 0 and 100 that was generated in the Python code and inserted into the template. This template evaluates just like a regular Python for loop. Jinja2 will render each entry in messages in its own paragraph on the webpage. There are many more such directives available. If you want to learn more in depth about Jinja2, check out its documentation. HTTP methods are sent with requests, and they specify the action that the client wishes to take on the resource specified with the request URI. For example, a request to the server that used the GET method on a resource indicates that the client wants the server to respond with that resource. Then the client might send a PUT request to update that same resource or a DELETE request to delete it. The most commonly used methods are GET, POST, PUT, and DELETE, but there are many others. In this context, the word “state” means “the way that the thing currently is”. If a server is stateless, then the way that it handles requests doesn’t change based on previous requests that have been made. It can be a bit of a subtle distinction, since storing data and retrieving stored data is a common function that web apps perform. However, in that case, the web server isn’t the component that’s storing the data from the previous request. The web server stores and retrieves data by talking to a database, so the server retains its statelessness. A self-contained resource is a resource that can be fully parsed and updated by the client without requiring any external information. For example, a resource might contain some metadata to inform the client that it’s encoded in JSON, or it might contain other URLs that the client can use to interact with the resource further. This one is fairly self-explanatory. GET requests don’t change anything on the server’s side, DELETE requests delete the requested resource, etc. The GET method is called nullipotent (no side effects), and the PUT and DELETE methods are called idempotent (no side effects if the request is repeated more than once). Over the course of this exercise, you’re going to build upon the skeleton of a simple web app written using the Flask microframework. When it’s finished, our app will be a guestbook that stores data inside a SQLite database (More on databases in our Databases lesson) and allows people to both add themselves and view the guests that have already been added. You can now access the website in a web browser at http://localhost:8080. If you poke around the website as it is, you’ll quickly notice that things are broken. That’s because we haven’t added functionality to the website yet! There are two views that we have to write: The view for adding guests (app/views/add_guest.py), and the view for looking at the guests that have already been added (app/views/view_guests.py). See the files for more information on how to complete this exercise. If you get stuck, you should consult the Flask documentation for help. Now that we’ve written the logic for each endpoint, it’s time to fill out the templates so that we can present our dynamic data to the user. It might be helpful to consult the Jinja2 documentation and the Flask-WTForms documentation here. Just like before, there are two templates that we have to complete: The template for the add_guests view and the template for the view_guests view. The add_guests template is going to contain the form to add a guest (Hint: Use the HTML <form> tag), and the view_guests template is going to contain the list of guests in the database (Hint: Use the HTML <table> tag). Flask is a web framework that is simple enough for beginners to use but configurable enough to allow more advanced users to have full control over their application. It has a very active community and fantastic documentation. HTTP is the protocol that web clients and web servers use to communicate with each other, and REST is a set of web design guidelines that is takes advantage of HTTP’s features and allows different applications to easily communicate with each other.